Ahead of the launch of the new Diabetes Digital Coach platform later this year, people with diabetes in Gloucestershire are already benefitting from online structured education as part of a pilot project. Working with Gloucestershire Clinical Commissioning Group (CCG), we are giving people with diabetes advance access to Mapmydiabetes, one of the digital self-management tools which will be available through the Diabetes Digital Coach online service. Since the pilot started four months ago, 250 patients have signed up for Mapmydiabetes together spending more than 600 hours online in structured diabetes education. Staff from 15 different GP practices have been trained in how to refer to Mapmydiabetes, and are receiving ongoing referral support and technical back-up. We are also working with Hucclecote Surgery in Gloucestershire on another pilot, providing people with diabetes the opportunity to sign up for a personalised 12-week physical activity programme through KiActiv interactive software, which makes the most of everyday activities. Over in Swindon, we are working with two GP practices (Hawthorn Medical Centre and Old Town Surgery) to offer diabetes support to patients through Lincus (health and wellbeing tracker) and Oviva(nutritional counselling). And we are also in discussions with other CCGs across the West of England to explore a further pilot project working with Social Diabetes to support insulin management. 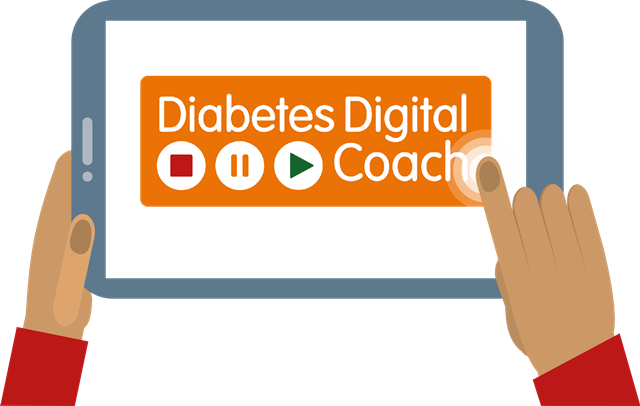 The Diabetes Digital Coach platform, which will provide a choice of carefully selected digital tools to help people with diabetes better self-manage their condition, is due to be launched in spring/summer 2017. If you would like to be kept up to date with news about the Diabetes Digital Coach and/or are interested in signing up to use it, please register your interest here. Diabetes Digital Coach is one of seven test beds announced by NHS England in January 2016. Each of these test beds is pioneering and evaluating the use of novel combinations of interconnected devices such as wearable monitors, data analysis and ways of working to address a locally-identified clinical challenge and help people stay well and monitor their conditions themselves at home. Find out more about the Diabetes Digital Coach at www.diabetesdigitalcoach.org.